Stop motion is popular for animation in the art industry. A cinematographic technique where the camera is repeatedly stopped and started to give animated figures and impressions of movement. Stop motion is most common in films such as Wallace and Grommit produced by Nick Park. 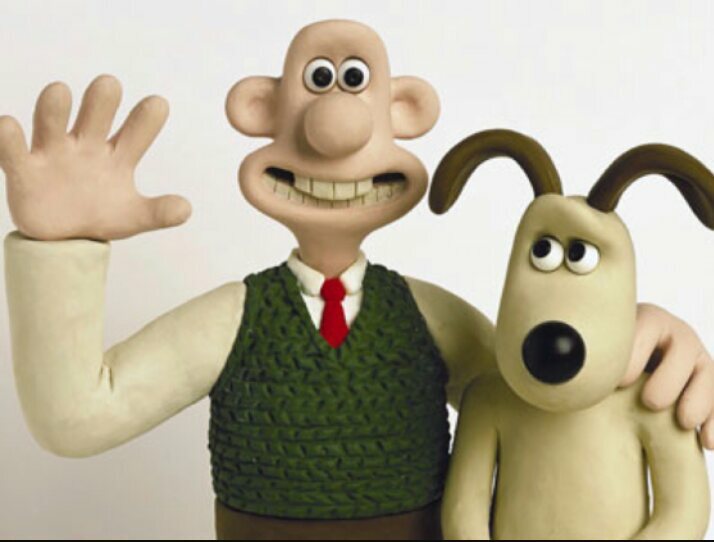 Nick created Wallace and Grommit with claymotion which is one of the many forms of producing a stop motions, this works by creating characters and objects to make a stop motion film. Their are different types or stop motion, another type is 3D animation which is profound on a computer using editing skills making things like adverts and short films. 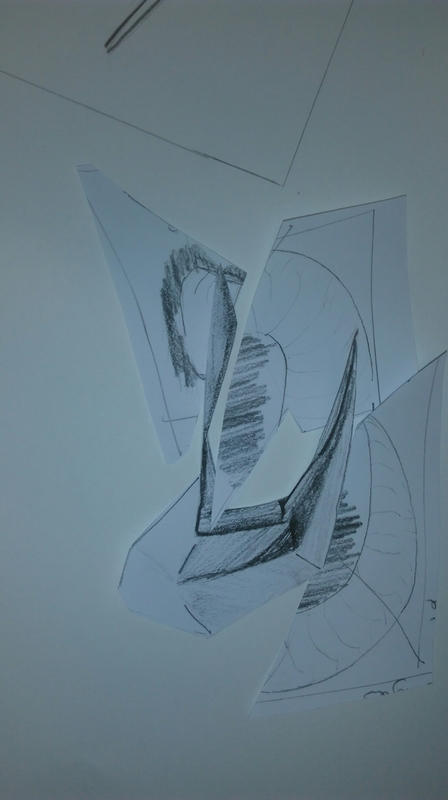 Creating a shape for the collagraph I manipulated my drawings of the ram horn by printing and manipulating the image by cutting and replacing shapes to create different structures. 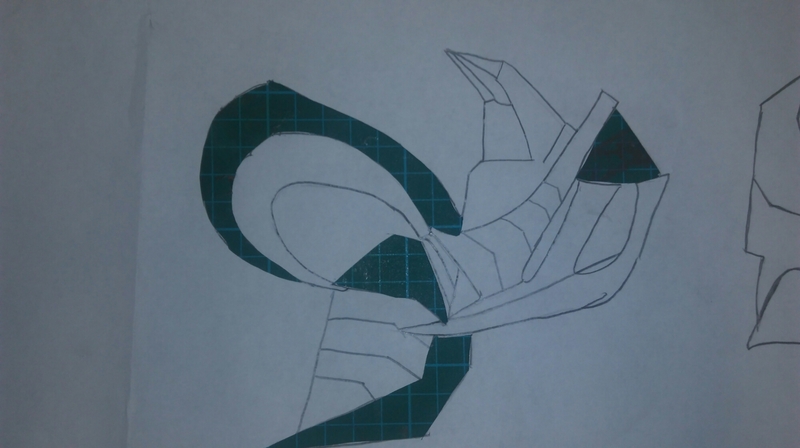 After creating the shape with paper I began to draw what my eye was most attracted to, this created a different image I began to shade the negative space. 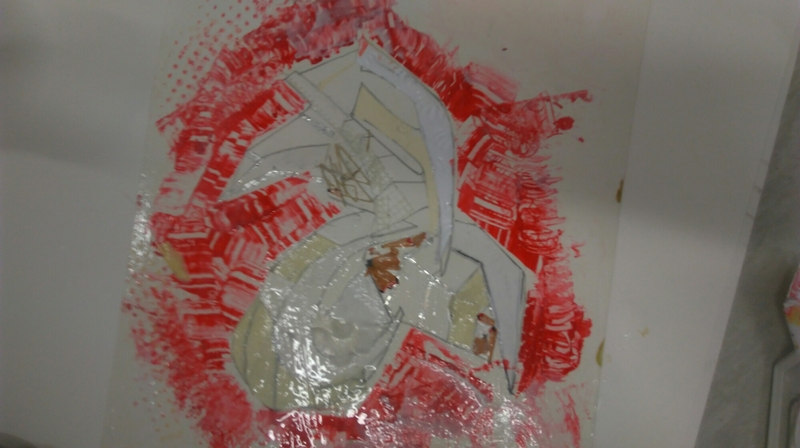 This images I will use for my collagraph plate. When I began to create my collagraph design I wasn’t confident experimenting with a wide range of media as I didn’t know how it would come out but after getting into the comfort of experimenting I began starting with stenciling parts of the shape and overlapping the image to give it a thicker surface for the ink to start creating more of a contrast. also using masking tape, PVA glue and some form on hatched stick plastic as it has an unusual texture and as I believe would create a great contrast, eccoing the smooth furface of the masking tape and glue. After producing textures on the surface I started to think about the background. As I don’t want a smooth surface for the ink to pick up I use acrylic paint and a pallet knife which constructed a sharp, busy surface. 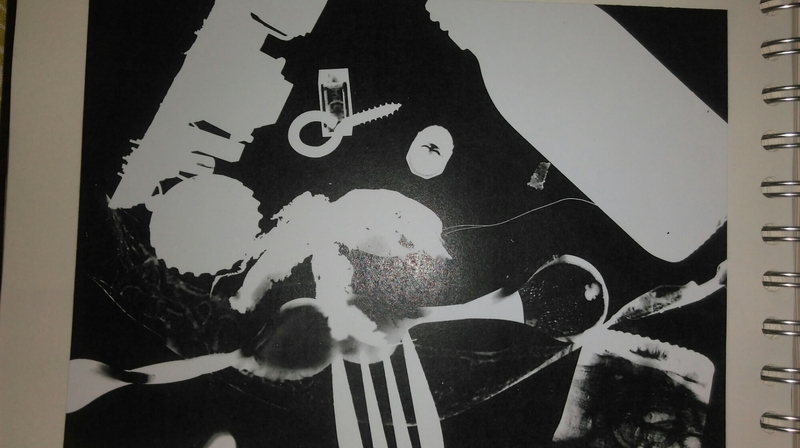 A photogram is a photographic image that is created without a camera. Using different materials such as glass, plastic, etc, On the surface of the paper creates the outline of the negative and positive shadows, as the paper is photo-sensitive to light, The paper is exposed to light when the objects are placed on the surface, it illustrates how the light is blocked in areas of the photogram to create the positive and negative shadows, The shadows from the photograms creates the 2D and 3D effect outcome that show what the objects were and the reflection of shade and contrast. 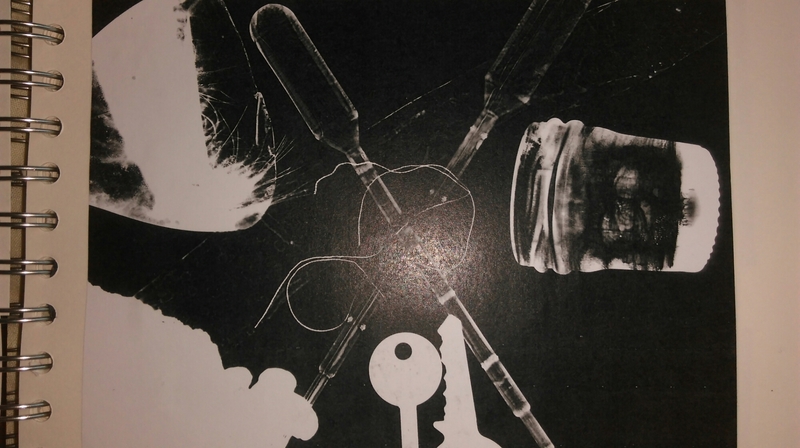 During the task of the photograms I used a variety of objects such as, fork, keys, feather, jar. these objects created different lines and tones as they have different thicknesses and sizes to devop on the photogram. For example my first photograms I was just experimenting with different objects with a variety of sizes, thickness and translucents. This problem I solved I began by using different translucents, thickness (ect) you can see how the light has hit the objects creating different contrast on tonal shades and line. 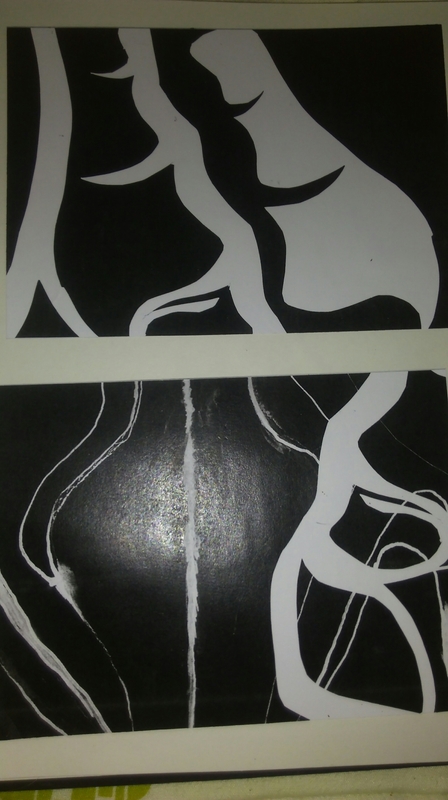 As this photogram is bolder, creating the 2D illusion on the paper with thick line. 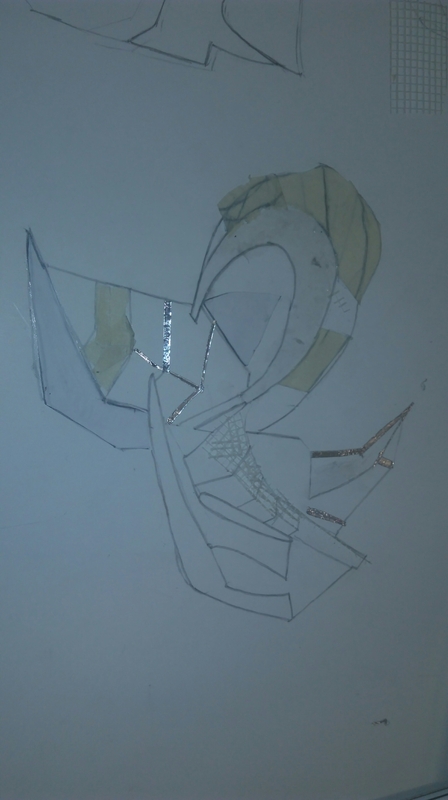 For the next problem solving I began creating structures of 2D and creating 3D form by manipulating 2D materials I tested on the photograms to create 3D illusions from the ideas I created. 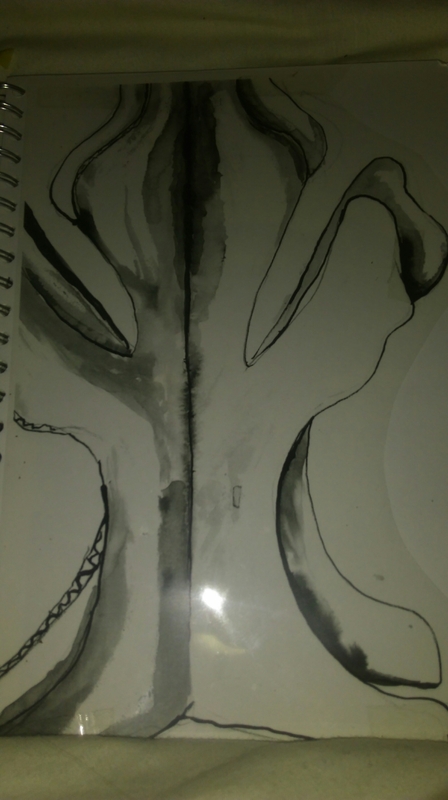 This idea I created was inspired by my mixed sculpture piece I did, which was another problem I solved by manipulating my observational drawings from the museum. 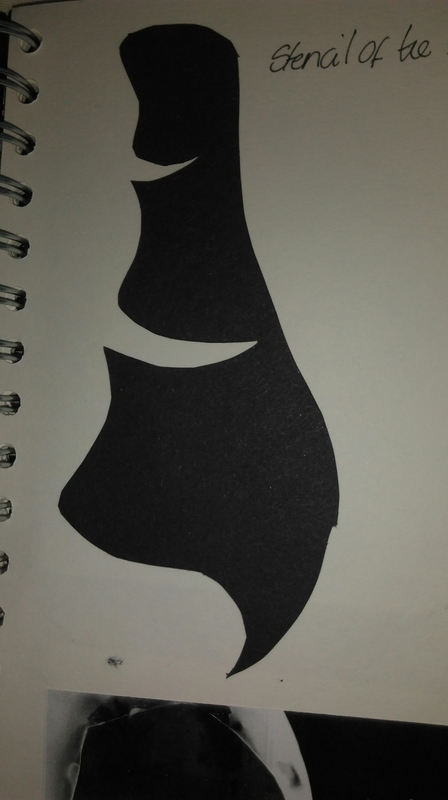 This photogram is what was produced after creating the stencil, as it created the bold lines I also used the cut out from the stencil as it created a beautiful reflection on what the inside of the stencil shape creates. 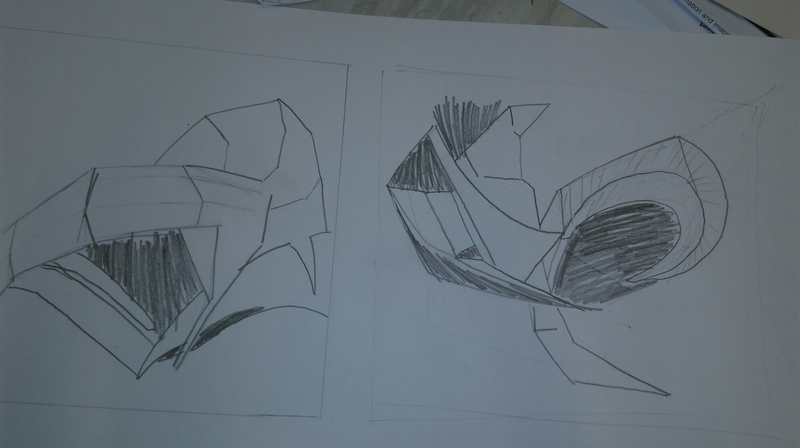 The bottom picture is an experiment I did on acetate, creating a 3D form from cardboard. 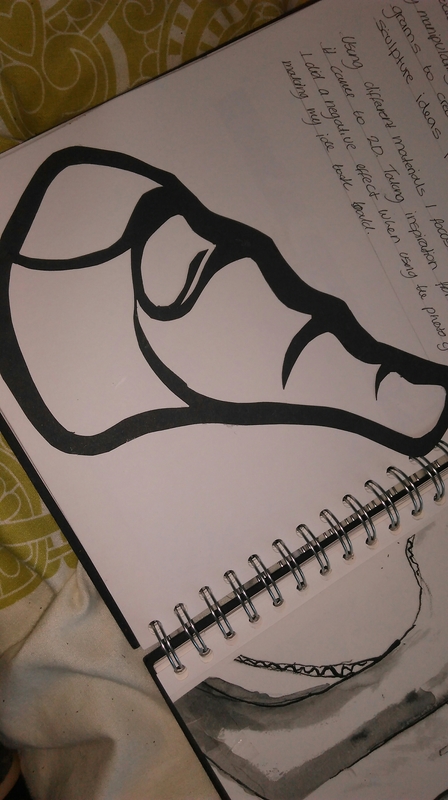 After creating the 3D form I decided to manipulate it to a 2D form I used on the photogram.